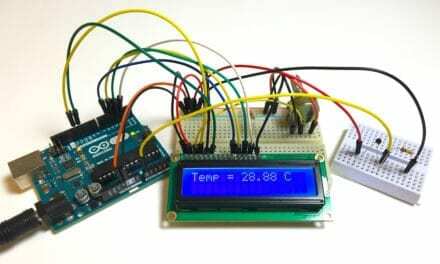 Here’s a really useful and easy project you can do with an Arduino. If you have a hard time reading the color bands on resistors like I do, this project is perfect for you. Instead of struggling every time you need to find the resistance of a resistor, just build an Ohm meter and measure all of your resistors. If you come up with a good way to label and organize them, you’ll never need to spend time guessing the difference between those tiny grey and purple bands again. The circuit is really simple. 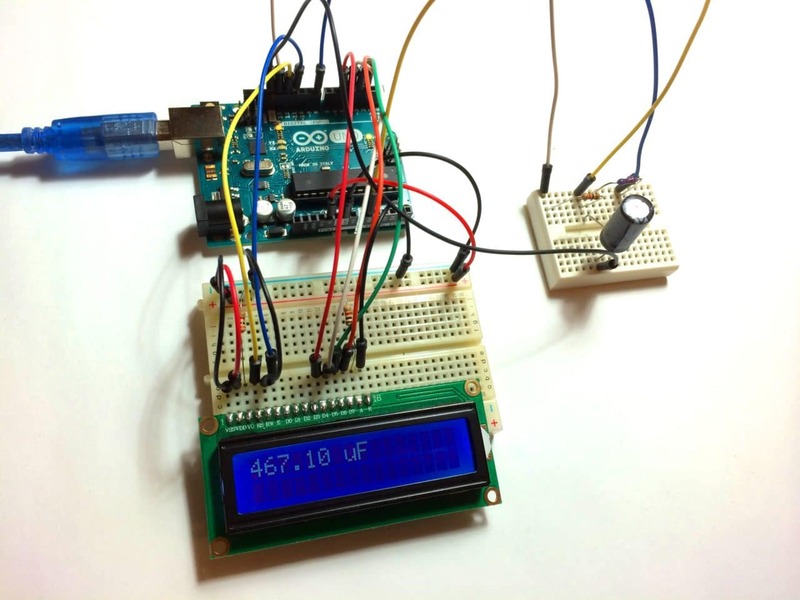 All you need is an Arduino, the resistor you want to measure, and another resistor with a known value. 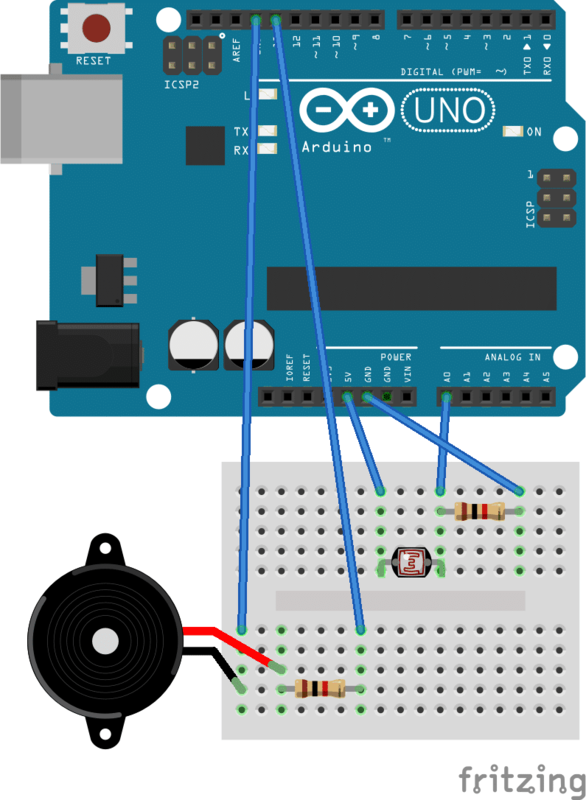 We’ll set up a voltage divider with the known and unknown resistors, and measure the voltage between them with the Arduino. Then we’ll run a program that will calculate the resistance from Ohm’s Law. Enter the value of your known resistor (in Ohms) on line 5 of the code above. In my case, I’m using a known resistor with a value of 1K Ohms (1000 Ohms). 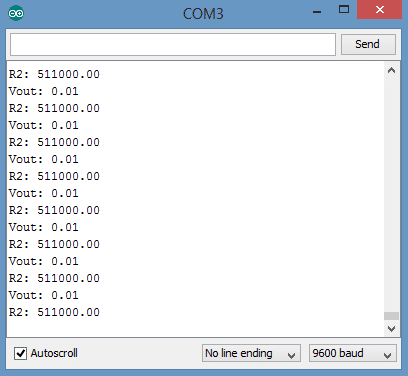 Therefore, my line 5 should look like this: float R1 = 1000;. The program sets up analog pin A0 to read the voltage between the known resistor and the unknown resistor. You can use any other analog pin though, just change the pin number in line 1, and wire the circuit accordingly. 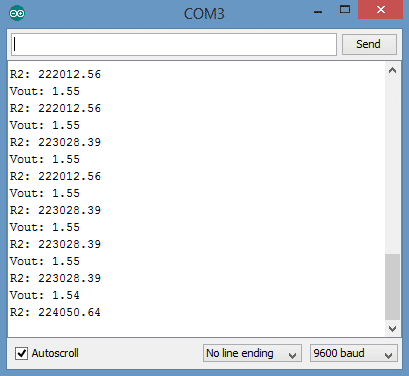 When you open up the serial monitor you’ll see the resistance values printed once per second. There will be two values, R2 and Vout. R2: is the resistance of your unknown resistor in Ohms. Vout: is the voltage drop across your unknown resistor. The values are pretty accurate, that’s only an error of 1.6%. The error here is greater than 100%. That’s because I was still using a 1K Ohm known resistor. The accuracy of the Ohm meter will be poor if the value of the known resistor is much smaller or larger than the resistance of the unknown resistor. The problem is easily fixed by using a known resistor that’s closer in value to the unknown resistor. Once I replaced the 1K Ohm known resistor with a 100K Ohm resistor, the accuracy of the measurements improved greatly. Don’t forget to change line 5 in the code above (float R1 = 1000) to the value of your new known resistor. These values are much more accurate, with an error of about 1.8%. This project should help you identify your resistors without the guesswork involved in reading color bands. I just measured all of my resistors and wrote the resistance value on the paper strips holding them together. It’ a lot easier than looking at the color bands every time you need a certain resistor! If you’re having trouble with this project, just leave a comment below and I’ll try to answer it… And if you liked this tutorial, be sure to subscribe and we’ll send out an email to let you know when we publish new articles! Why do I need to subtract 1 in line 21? Because the formulae is Vin/Vout = R1/(R1+R2), with some algebra, you’ll end up with R2 = (Vin/Vout – 1)*R1. Just wanted to point this for anyone who’s calculations show errors like mine did using a 10 ohm constant (R1) and 37.6 ohm “unknown” (R2) with the above math. Your expression would be right if R1 (known resistor) would be connected to Vcc and R2 (unknown resistor) would be connected to GND. But in this schematics the resistors are swapped so unknown resistor is connected to Vcc and the known one is connected to GND. 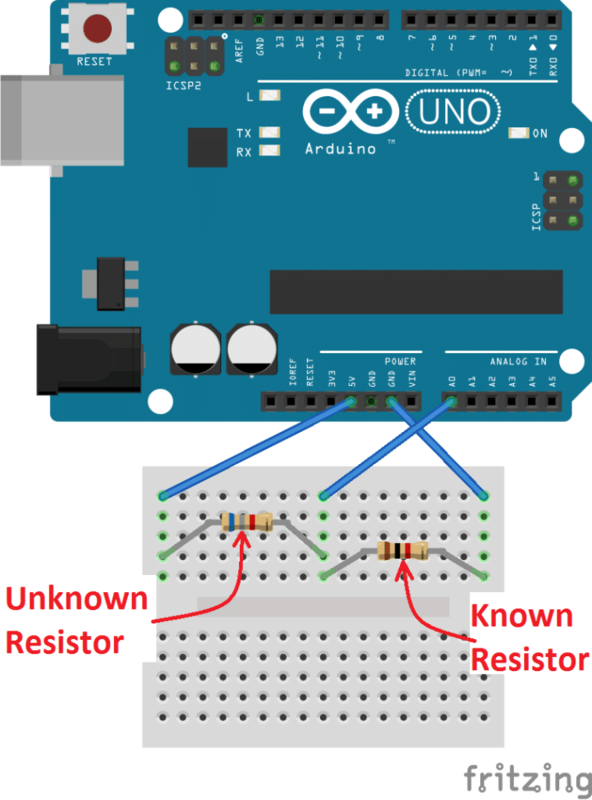 You obviously connected the unknown resistor to GND so that is why you got wrong results. You can either swap the resistors or change the expression as you already did. See my comment below – it didn’t attach as a reply for some reason. Your circuitry was tested on various resistance and all the values displayed were correct. Then I put 2×100 kOhms resistance in series to have a 200kOhms equivalent resistance (because the printer resistance is 100 kOhms, I was told) and the values displayed were then weird : Vout=0.1 to 0.12 max and R2= several MOhms… I also tried with only one 100 kOhms resistance, same kind of values. What can I conclude ? First, check all your connections, and also verify that you have updated the sketch with the new resistance value for R1. If it still doesn’t work after that, I would conclude that you have a bad resistor or your analog pin 0 has somehow been damaged (the latter is really unlikely). A voltage divider works by sinking a portion of the voltage in the circuit back to ground. Since electricity follows the path of least resistance, the point directly before R1 is Vin (5V on this setup), after R2 is 0V (connected to ground), and between R1 and R2 is Vout (the amount not being sunk to ground by R2). You could test to see if it’s a problem with analog pin 0 by removing R2 from the circuit. This should give you a Vout of 5V (since none of the voltage is sunk to ground), and an R2 of 0 (which is actually infinity). If this works properly, it’s probably a bad resistor that you’re trying to check, or a very big resistor, in which case you need to have a bigger R1 to get reliable values. If this doesn’t work properly, then your analog pin 0 is messed up. If it’s your analog pin, simply moving the wire from analog pin 0 to analog pin 1, and modifying line 1 of the sketch to match your new analog pin should fix the problem. If that doesn’t fix it, then either your entire Arduino is screwed up, or it’s your connections. If it’s your connections… well, that should have been the first thing you checked! I mean can i display it to a LCD instead of the serial monitor? can we use a different resistor value? i’m using 278k R1 and measuring a 5k resistor and the reading jumps up and down 400 ohms or less. what could cause this, i tried a second uno and soldering all wires. 400 ohms is under 10% tolerance (8% to be exact) on a 5k ohm resistor. It’s likely that your resistor has a tolerance of 10-15%, and this is well within that boundary. Additionally, if your 278K resistor also has a 10% tolerance and you have not measured its resistance exactly before using it in your project, there’s a possibility that this could throw your calculations off as well. thanks anyway but another kind man solved my problem. my accuracy was improved when both resistors were close in value because of the nature of the voltage divider used in the circuit. The value provided is close enough to be worth using unless you need ultra-precise measurements. 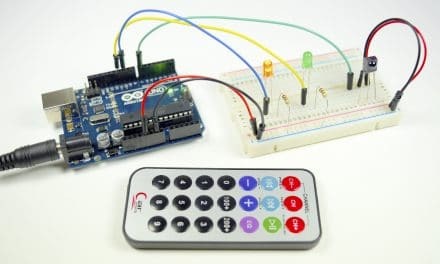 With the Arduino Due and Zero, you can change the analog resolution to a 12-bit number, giving you values between 0 and 4095 if you need more precision. I was trying to adapt this to read a negative earth variable resistor, common in automobiles and one wire sensors so more useful than the current circuit. my algebra is a bit rusty but change the following lines and there you go. fixed resistor is now R2. Hello. I noticed that the resistance data is not as stable as in real ohm-meter. Is there possible way to improve that? Hi, I made a 6 channel ohm meter but I am getting non consistent readings (around 2k). I tried to allow more time (5 milliseconds) between readings to allow the ADC to settle, I changed the reference resistor to closer to the measured one and I even tried to rewire the circuit but still getting fluctuating values for the same measured resistors. Im wondering if I need to implement some digital filtering (averaging a few samples, discarding peak values etc). I did notice in the screen shots the values are consistent. hi oryaninbar, I also experienced the same problem like you. and I am also thinking to do some low filter to discard a fluctuate value from the resistance. Thanks for sharing this.. work for me ,together with lcd i2c …tks again. Can you link how to convert this project with output on 16×2 lcd? Can I use an external 12V power supply for this type of measurement? I wanted to use Arduino to control electric windows in my car. However, the button panel operates at 12V and uses resistors to communicate which button has been pressed. There is an interesting thing going on when you try to use 12 ohm for R1 and 1 ohm for R2. For some reason, when I connect the R2 to earth, (R1 is connected to 5V from arduino) the lcd turns off and all the power goes to R1 and it starts to heat up. As soon as I remove the ground, the lcd turns back on. I don’t know if arduino’s adc were runing while the lcd was down. Any suggestion on why this happened? This does not happens when 1k+ resistors are used. I verified the measured voltage Vout = 3.52 [v]. Vout/Vin = (R1+R2)/R1 which is different from the Vout / Vin = R1 / ( R1 + R2 ). P.S If the circuit is needed I can send you by email. Isn’t it better to write : V out / Vin =R2/ (R1 + R2) ? Hi, thank you for the instructions. I want to ask some issues I encountered. So the known resistor I used is 10000 ohms and I am trying to measure one million ohm resistance. The value deviates quite significant. It shows 1.27 millions and 1.45 million ohm. May I know how it can happen and what I can do to handle this? Hi am impressed with your circuit, but am trying to measure the resistance earth or ground pls help me out pls friends pleased help me out thanks expecting hearing from you. Cool trick. I’m trying to obtain a resistance value for a resistor-type temperature sensor. However the values vary from around 45Kohm to 100ohm. Is there any way to modify the reference circuit so that the accuracy remains within acceptable limits (+/- 5%) accross this range? This is awesome, i do have another question now though, lets assume, that you measure 100 Ohms( this can and will fluctuate ), but , i want the arduino to ( possibly via a digital pot) output a resistance of 90 Ohms , is this a possibilty? to Make an Arduino Ohm Meter is a little vanilla. If we don’t know the value of the unknown resistor, how can we choose the reference resistance value?